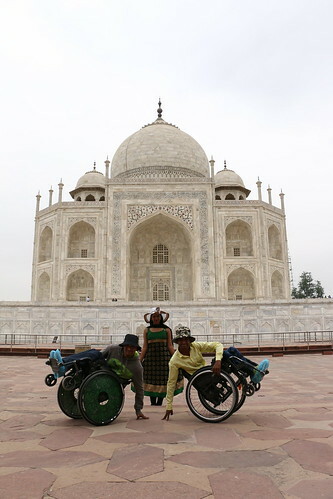 The beautiful view of the majestic Taj with our travellers posing for the camera. 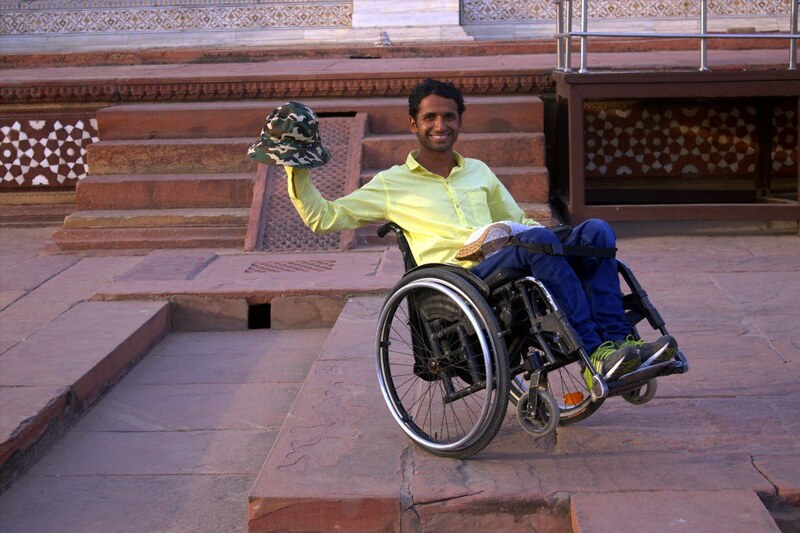 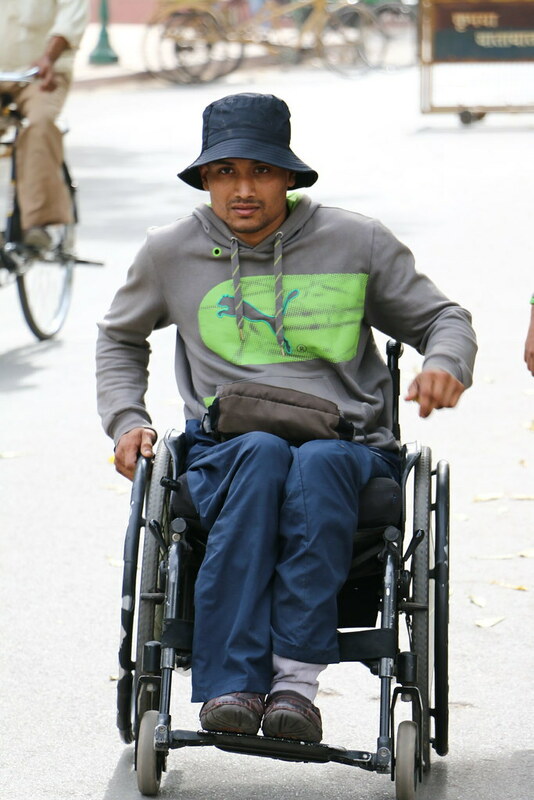 Accessible Tour of Agra:A happy traveller posing in his wheelchair. 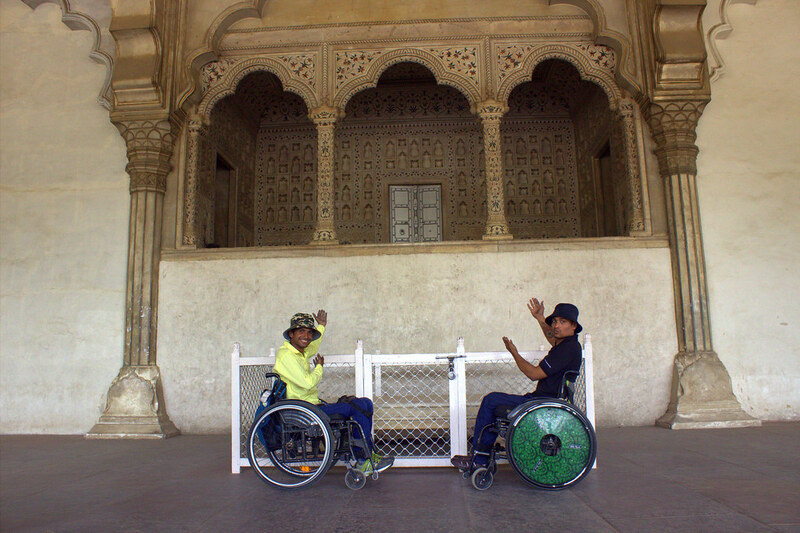 Accessible Tour of Agra:The beautiful view of the Deewan-e-aam. 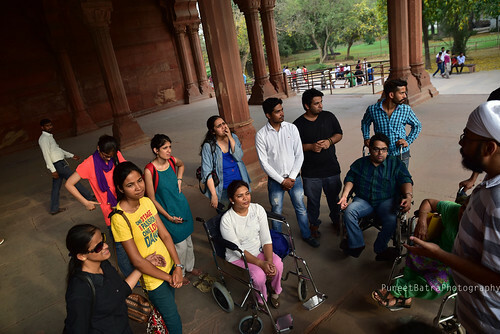 Accessible Tour to Agra: Two wheelchair users posing for the perfect shot. 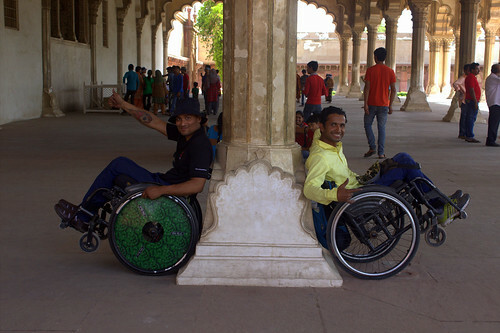 Accessible Tour to Agra:Two travellers on wheelchair posing for the camera. 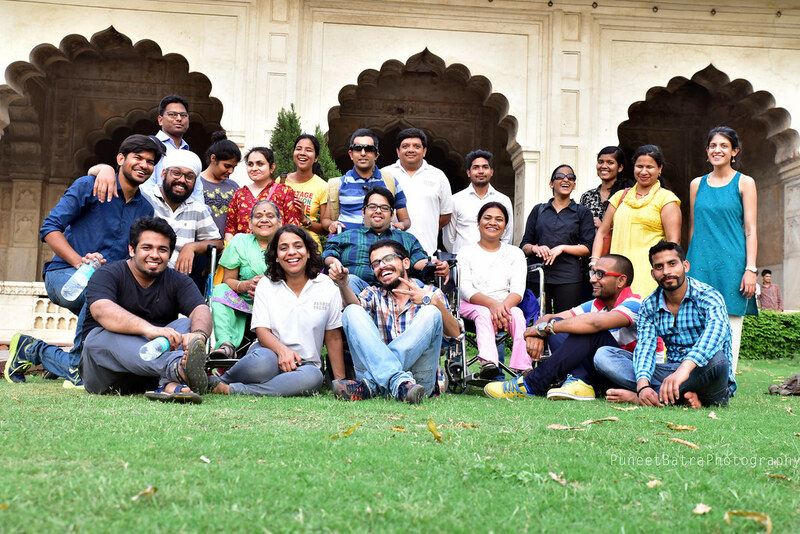 Accessible Tour to Agra:We make sure that the tour we organize is accessible to people with all disabilities. 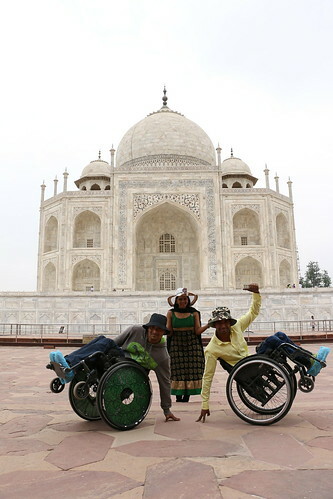 The group enjoying the scenic view and posing for the camera. 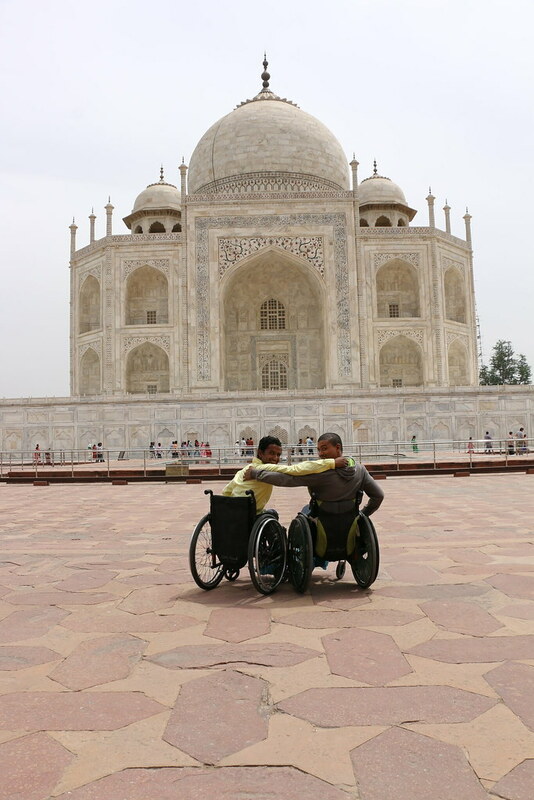 Our heritage expert telling stories of Taj Mahal. 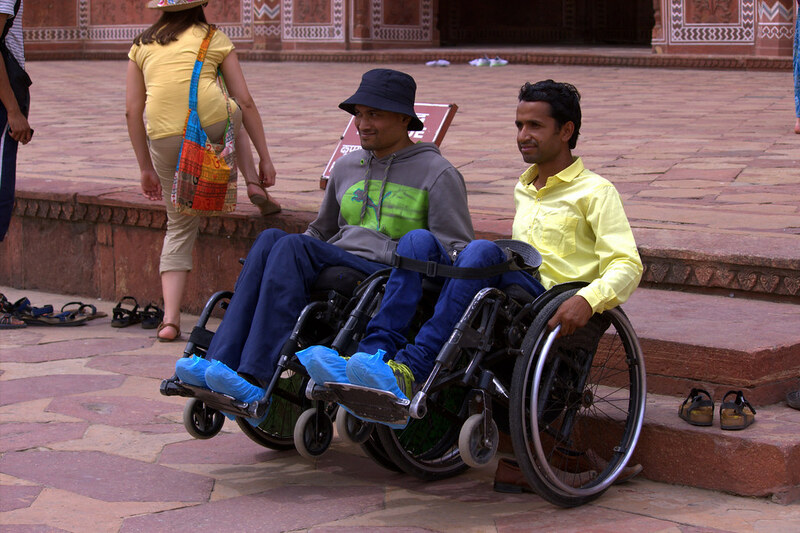 He is sitting on a porch with another team member of Planet Abled. 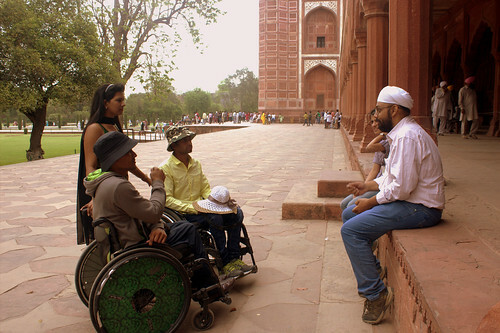 Two travellers on wheelchairs with hats on, along with a girl traveller listen carefully. 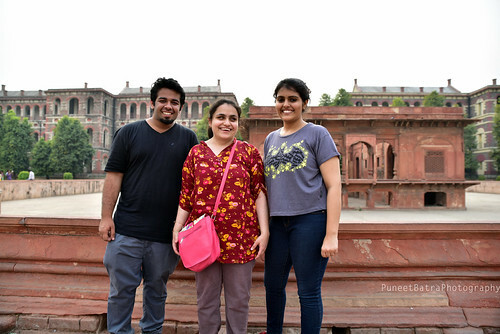 The backdrop is a red sandstone monument. 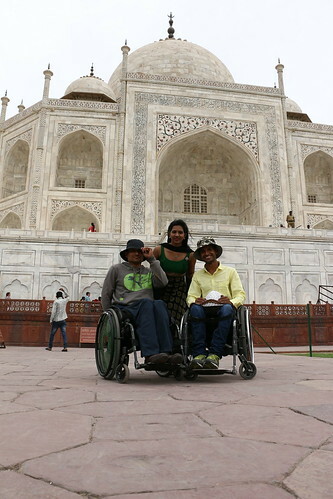 Accessible Tour of Taj Mahal: Travellers happily posing for the camera. Accessible Tour of Taj Mahal:The travellers happily posing in their wheelchairs with the beautiful Taj as the backdrop. 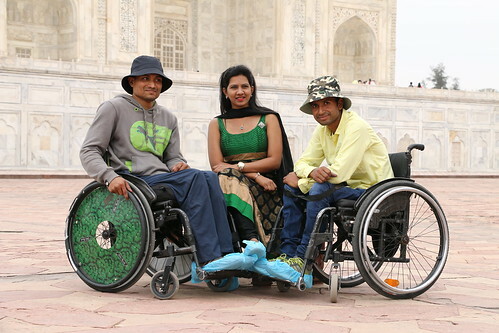 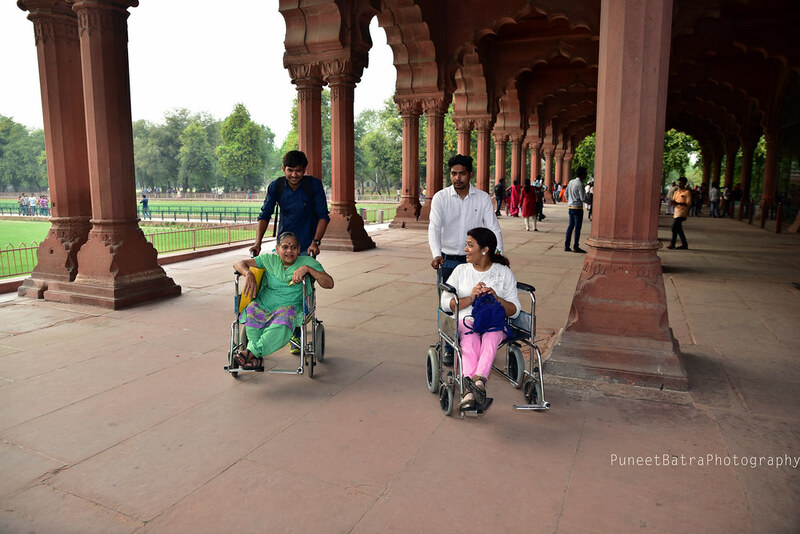 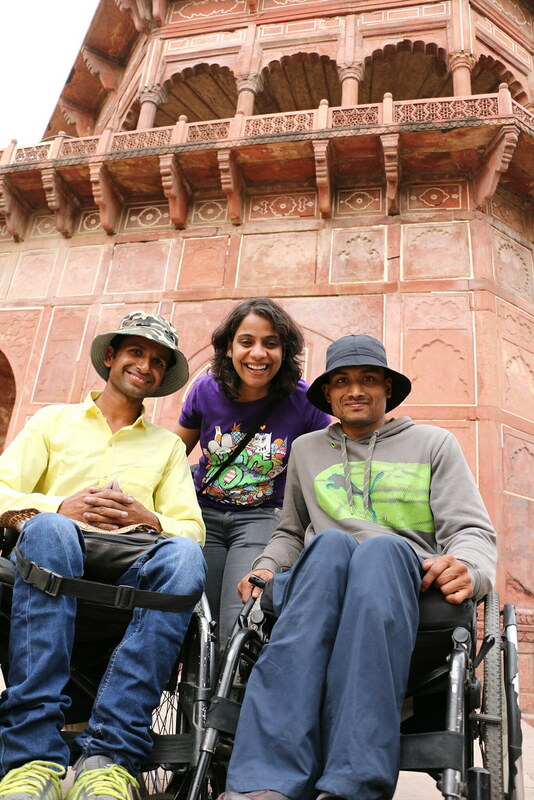 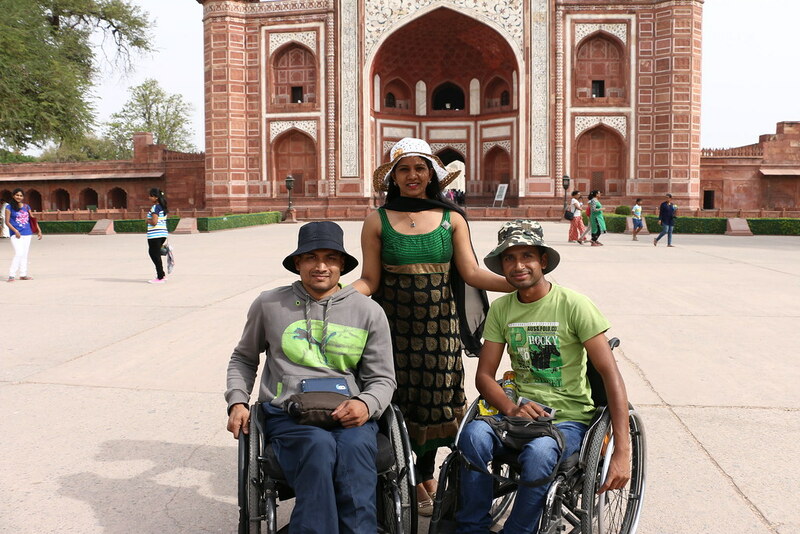 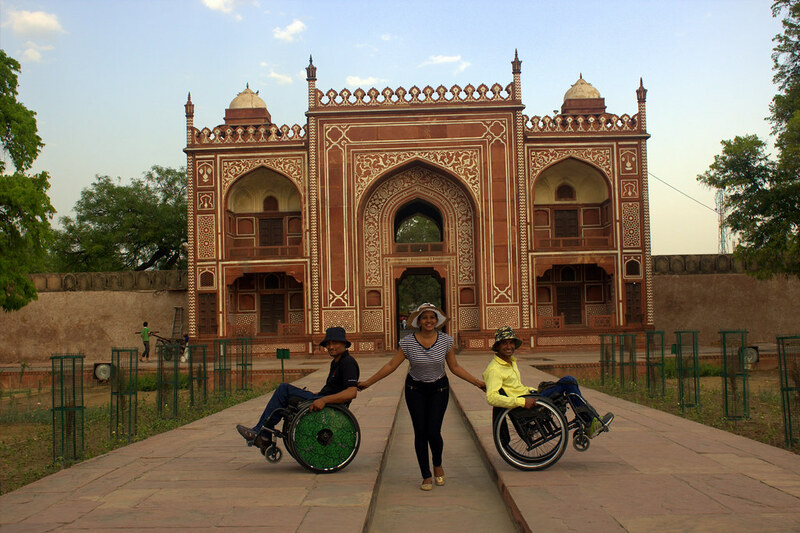 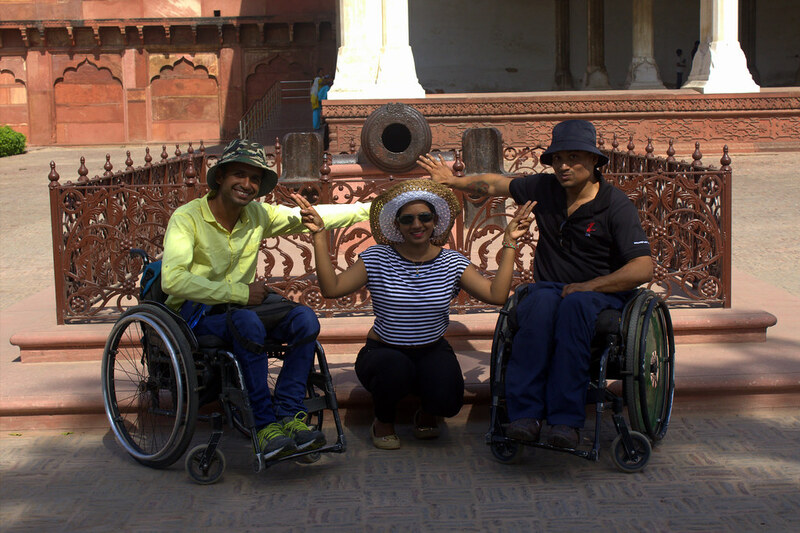 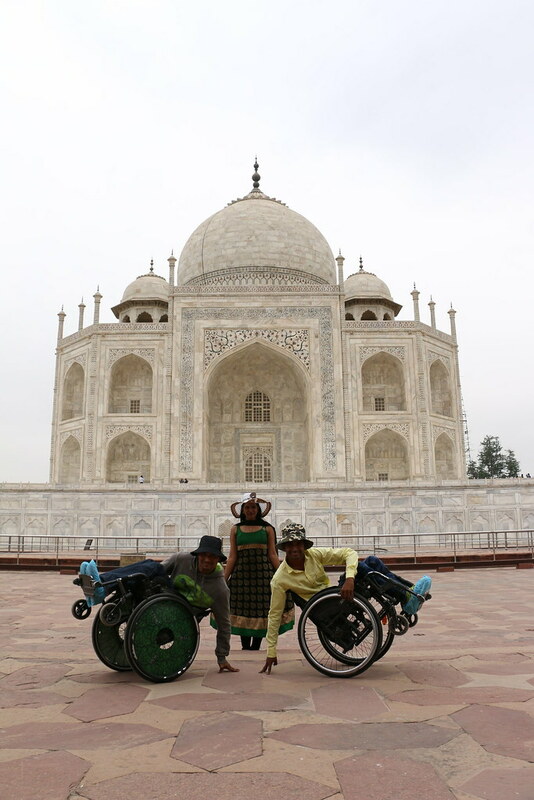 Accessible tour of Taj Mahal:Our Founder, Neha Arora seen here with two travellers who were wheelchair users. 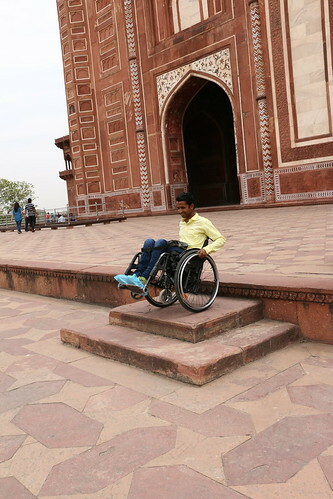 One of our traveller on wheelchair enjoying the tour of Taj Mahal. 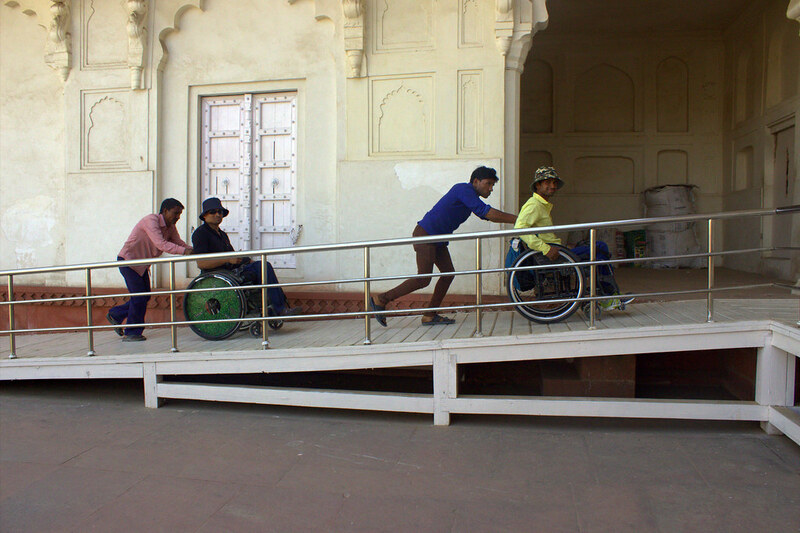 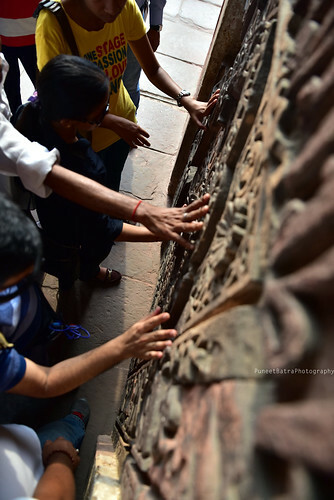 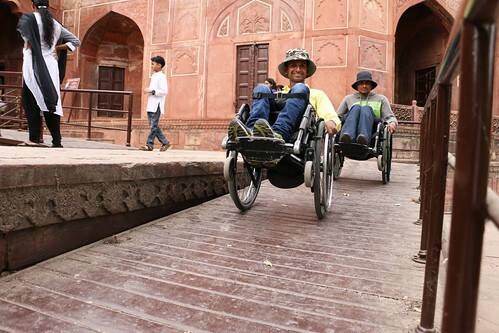 Accessible Tour to Agra:Two travellers who were wheelchair users can be seen here navigating their way using ramps. 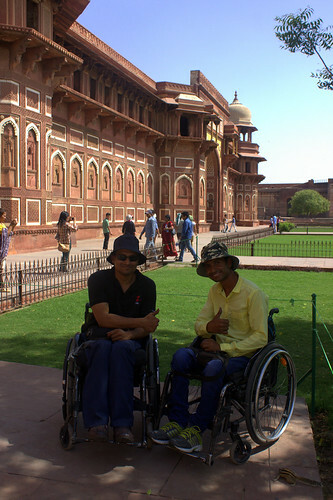 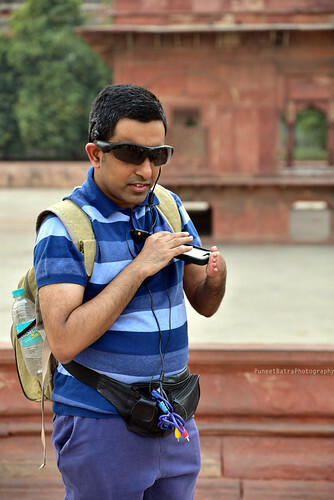 Accessible Heritage Tour to Red Fort: Pranav, one of our consistent supporter and traveller, who is blind was also a part of the Red Fort Tour. 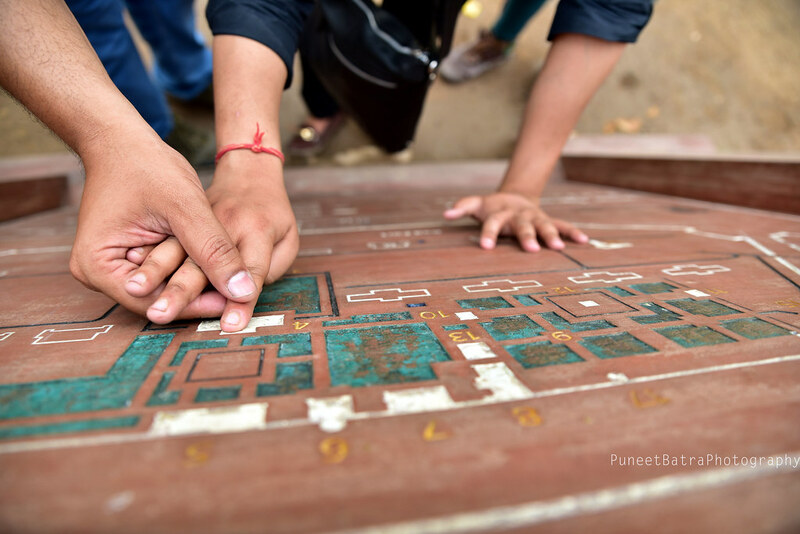 Doesn't matter if I can't see the map, I can perceive things through touch and use my imagination to understand things better !! A little history session at the Red Fort. Our expert giving a brief session on history of the fort. 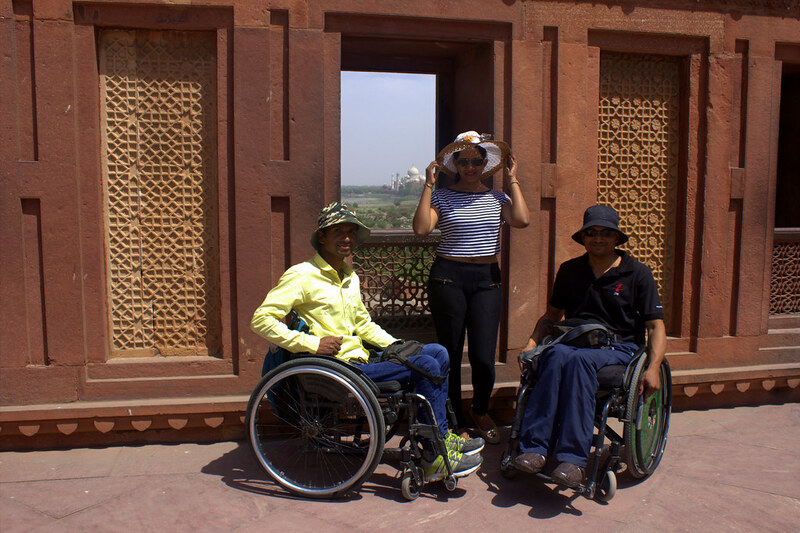 Accessible Tour of Red Fort, New Delhi: A view from inside the Red Fort. 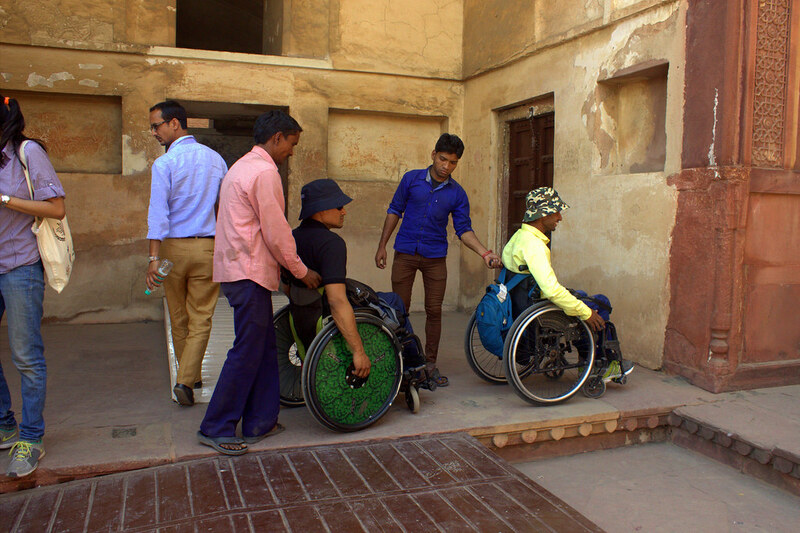 Accessible Tour of Red Fort, New Delhi: We ensured that people who were blind got to experience the artwork on the walls by touching them.